I make overnight soaked proats most evenings ready for breakfast at work the next day. Now I have to leave 45 minutes earlier to get to work because of the move, this is the best way for me to make sure I get a great start to the day! 4. And now your breakfast is ready to demolish! The possibilities are endless 😀 Here are a few pictures & flavour combinations to give you some inspiration on what kind of flavoured proats you could create! 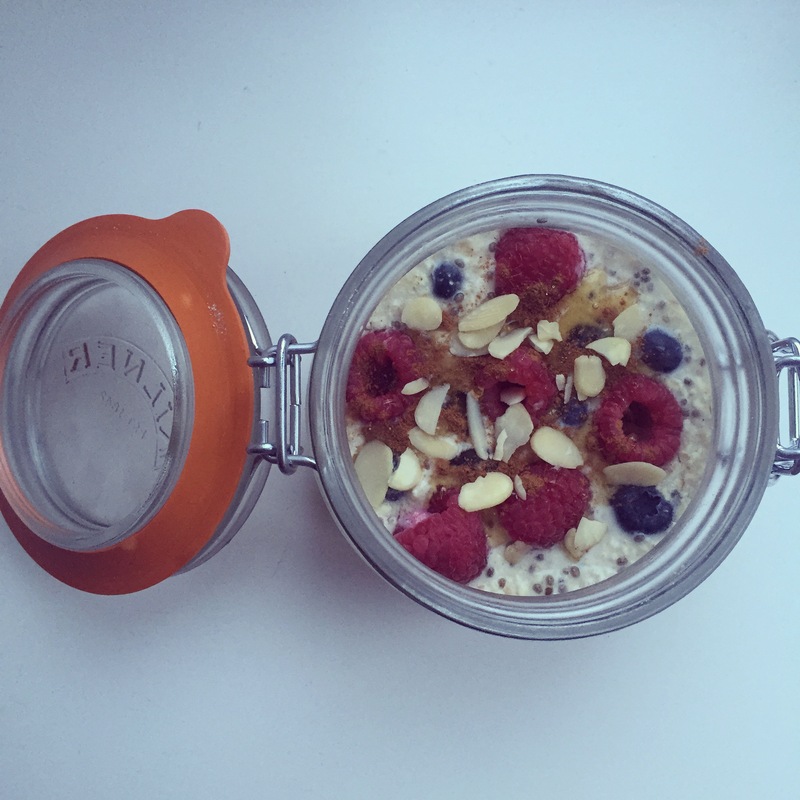 Vanilla Overnight Proats, with Vanilla Creme Efectiv Nutrition Whey, Chia Seeds, Blueberries, Raspberries, Flaked Almonds, Sweet Freedom Original and Cinnamon. Absolutely delicious! 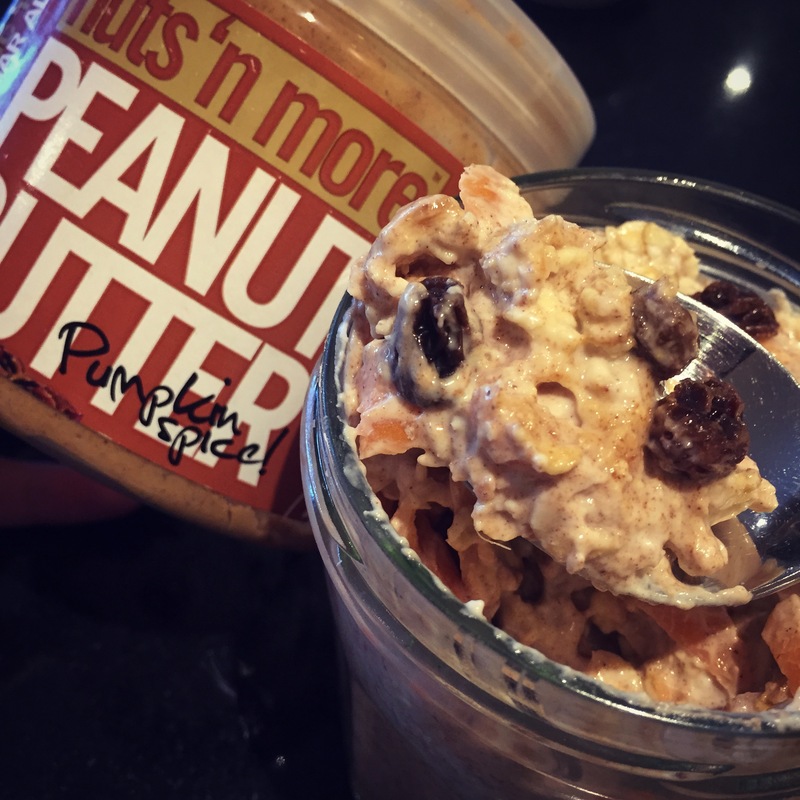 Carrot Cake Overnight Proats, with Vanilla Cinnaswirl Efectiv Nutrition Whey, Nuts n More Pumpkin Spice Peanut Butter, Grated Carrot & Raisins – delish! 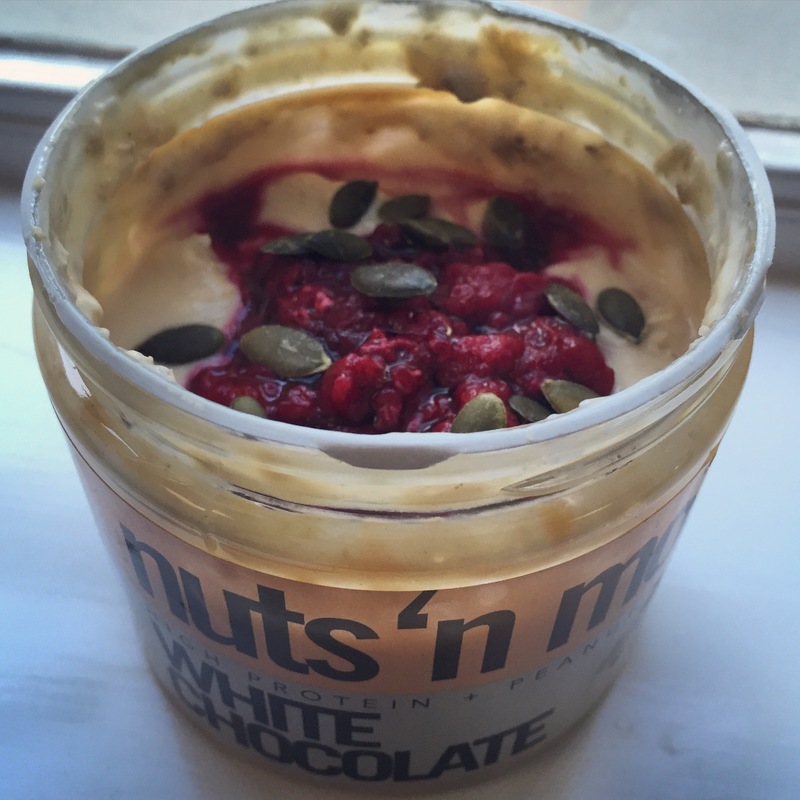 White Chocolate Overnight Proats, with Vanilla Creme Efectiv Nutrition Whey, White Chocolate TRKG Sugar Free Syrup, Nuts n More White Chocolate Peanut Butter, Raspberries and Sunflower Seeds. Perfection! 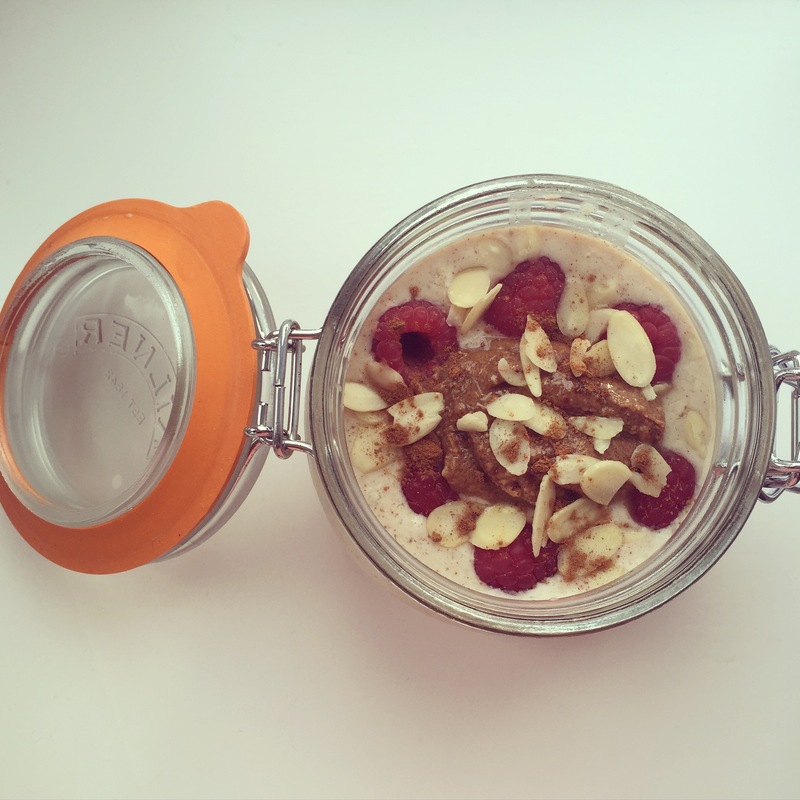 Cinnamon Overnight Proats, with Vanilla Cinnaswirl Efectiv Nutrition Whey, Cinnamon Bun Hognuts Peanut Butter, Vanilla & Almond TRKG Sugar Free Syrup, fresh Raspberries, Flaked Almonds & Ground Cinnamon. This is one of my favourites! Why do I love making this recipe so much? Simple! You’re working with a blank canvas so it gives you the opportunity to experiment with different flavours and products that will give you the best protein packed breakfast ever! Make sure you show us your amazing creations! When posting on Twitter or Instagram use #DDProats and who knows, maybe your recipe will end up on our blog! This entry was posted in Diet, Fitness, Food, Health, Lifestyle, Recipes and tagged blog, blogging, breakfast, eating, Efectiv Nutrition, hbloggers, healthy, inspiration, new blog, new recipe, oats, overnight soaked proats, protein, recipe, whey. Bookmark the permalink. A cheeky Monday morning reblog from the Delicious Duo! Proats are an awesome and convenient way to cram in some early morning nutrition…plus you can’t use not having time as an excuse because you can make them while you cook dinner! It literally takes 5 minutes to make so yes, no excuses!! Oh my goodness, this looks SO delicious, so happy you tweeted me your blog! You have me literally dribbling!